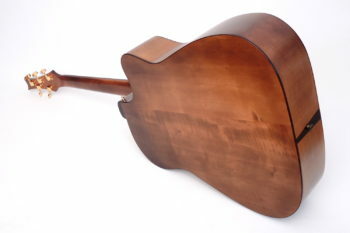 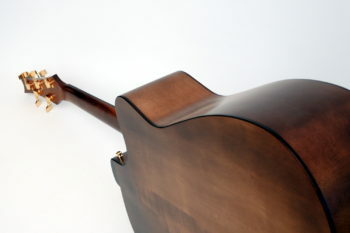 As back and sides of the IQ Acoustic Bass are made of maple, which is kept almost natural in color, this time it was embrowned on customer request with a very impressive result. 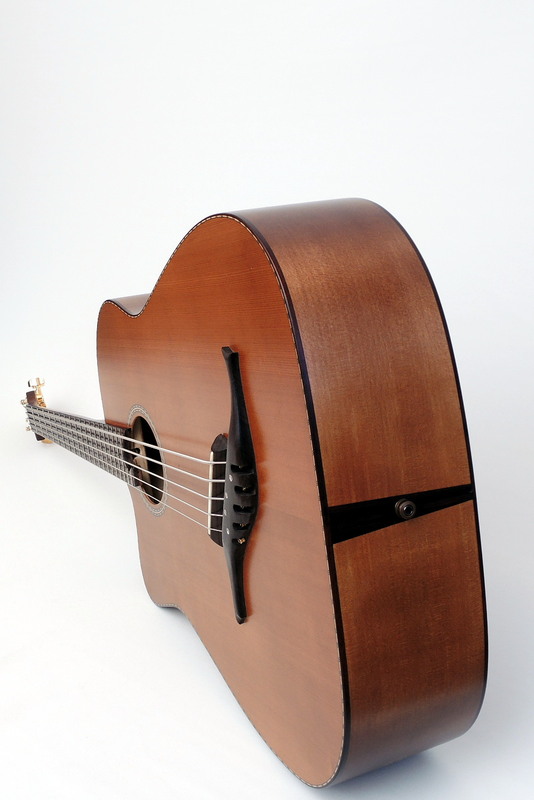 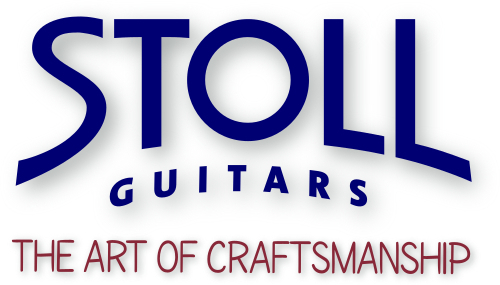 Usually the top is made of Sitka Spruce. 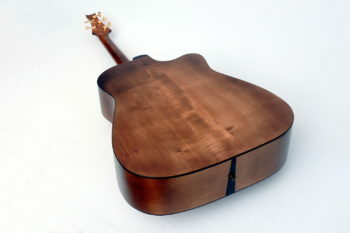 With this Acoustic Bass we made use of Douglas Fir. The principle of our IQ basses is a fingerboard with fanned frets, which has been mirrored for the left-handed version. 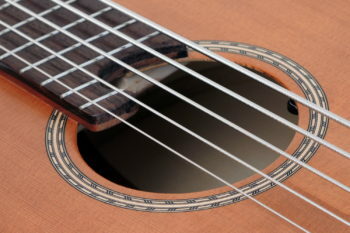 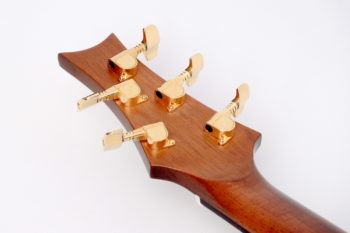 The 5-string version comes with an additional low b-string. To match the exterior appearance, the sound of this IQ-Bass is a bit darker too. This is caused by the Douglas Fir top, which also provides a stronger presence. 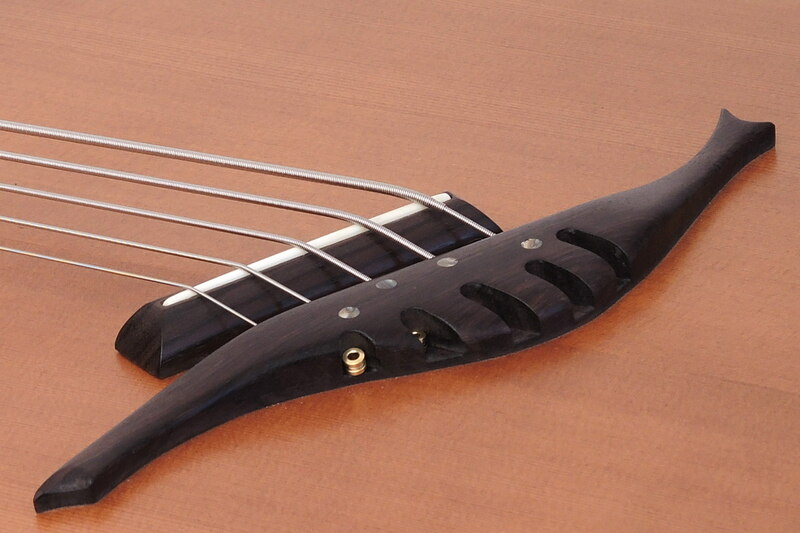 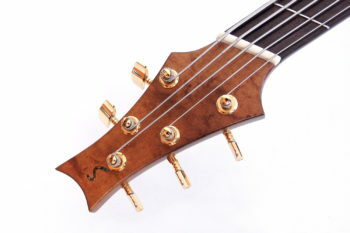 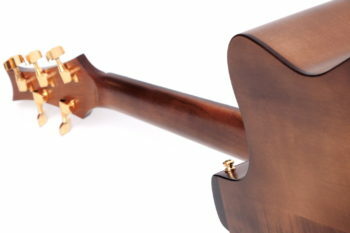 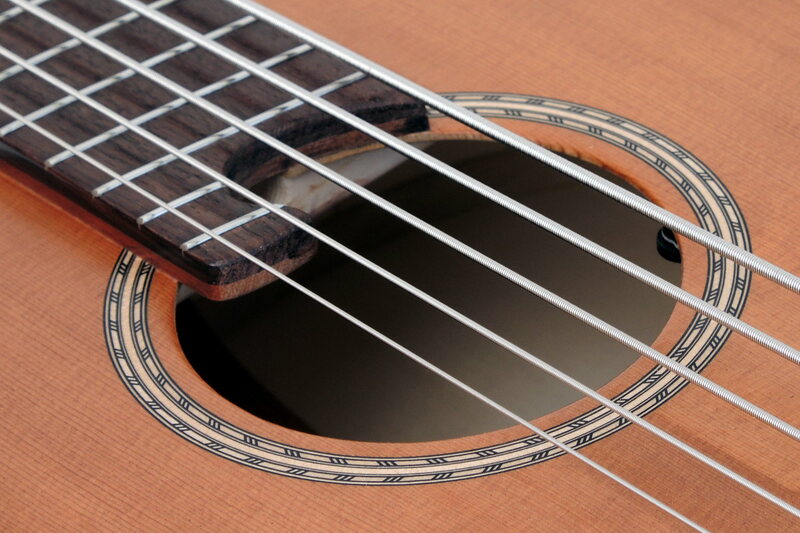 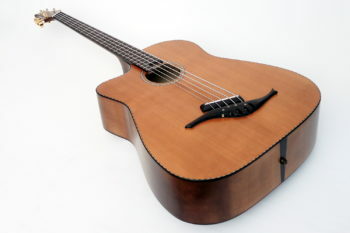  The built in L. R. Baggs element pickup amplifies the sound very naturally. Next article:Bridge Saddle and Nut – Bone or Plastic?